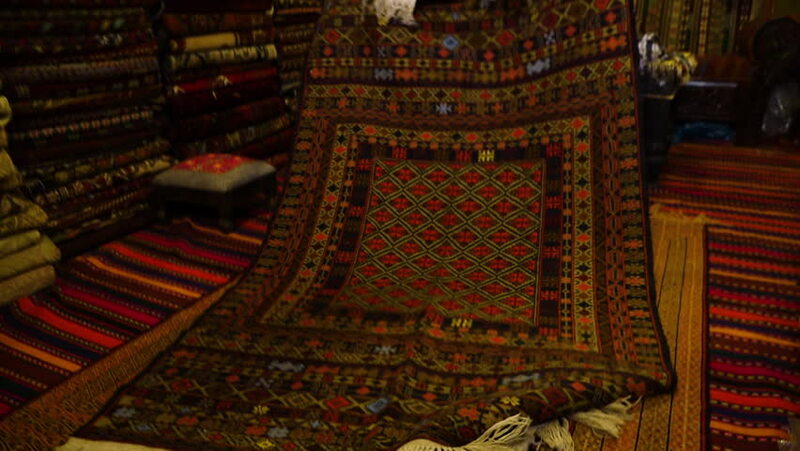 A shot of a carpet made from Afghanistan being laid on the floor. hd00:10Handmade Indian shoes. Beautifully crafted artistic shoes. Colorful. Indian local market. hd00:17HAEINSA, KOREA - AUGUST 12, 2013: Exterior detail of the colorful decoration of Haeinsa temple building in Haeinsa, Korea.